Amazon ElastiCache node (MemCached engine) uses a connection buffer per TCP connection to read/write data out over the network. This is not a problem when there are few concurrent connections to an Amazon ElastiCache Node, whereas when you get into hundreds of thousands of connections with hundreds of Amazon ElastiCache nodes, this adds up to connection memory overheads. Example: On each Amazon ElastiCache node, the memory made available for storing cache items is the total available memory on that cache node minus the memory used for connections and other overhead (like TCP connection buffer). 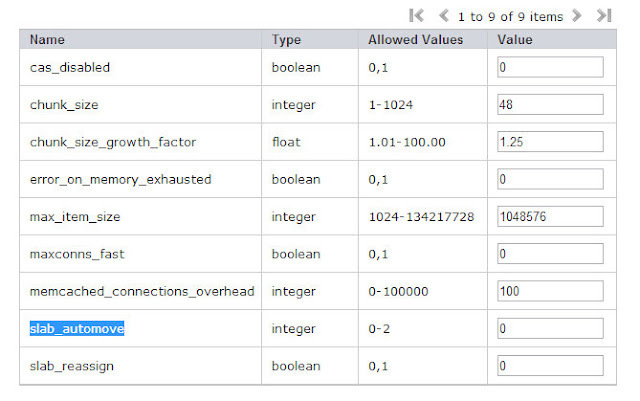 This overhead value can be configured using the memcached_connections_overhead parameter in Amazon ElastiCache. For example, a cache node of type cache.m3.2xLarge has a max_cache_memory of 29600 MB. With the default memcached_connections_overhead value of 100 MB, the Memcached process will have 29500 MB available to store cache items. The default value for the memcached_connections_overhead parameter of 100 MB will satisfy most use cases; however, the required amount of allocation for connection overhead can vary depending on multiple factors, including request rate, payload size, and the number of connections. For cache heavy dependent site with high concurrency using multiple nodes of cache.m3.2xlarge instance, an overhead size of just 100 MB might not withstand sometimes and may cause swapping and degrade performance. That’s why Amazon ElastiCache has made this overhead a user configurable property. The configuration change will affect all cache nodes in the cluster. You need to monitor the swap, latency and number of concurrent requests using Amazon CloudWatch periodically and accordingly increase this parameter size (it could be few hundreds of MB increase to GB depending upon the usage readings). ·Implement a per-thread shared connection buffer pool for TCP and UDP sockets. This change can enable you to reclaim multiple gigabytes of memory per server. A patch was provided by Facebook engineering team in their engineering blog on per-thread shared connection buffer pool, we need to check with AWS ElastiCache team whether this patch is applied on or any equivalent tuning is done on Amazon ElastiCache Nodes for reducing this overhead. ·Use UDP wherever applicable and feasible. Currently UDP is not supported by AWS ElastiCache. In future it could be a possibility. When your online user base grows, naturally the cache size also grows for a cache dependent application. AWS understands this very well and have designed their Amazon ElastiCache with a core idea that you can elastically increase and decrease the number of cache nodes. Though it is easy to add new nodes in the cluster, this activity has some impacts on client side -> Memcached client library. Now you are planning to run an online sales promotion and choose to add few ElastiCache nodes in the cluster to match your growing memory and performance requirements. The java based memcached clients cannot immediately identify and recognize the new ElastiCache nodes, you would have to add the cache end points manually in the client configuration and restart the the web/application server process(in this case 25+ web/app EC2's). This re-initialization action can result in temporary disruption of some services and even downtime on some architectures. Amazon ElastiCache has recently introduced an Auto discovery feature on the spymemcached client(java based) and PHP to eliminate this complexity. You can download this patch from Github. Soon AWS will make this feature available for all popular memcached clients. Using Amazon ElastiCache Auto Discovery feature, customer applications now transparently adapt to the addition/ deletion of cache nodes in the cache clusters. The applications are automated to react quickly to changes in your cache cluster without downtime. Amazon ElastiCache clusters now include a unique Configuration Endpoint(DNS Record). This record contains the DNS names of each of the cache nodes that belong to the cluster. Amazon ElastiCache service will ensure that the Configuration Endpoint always points to at least one such “target” cache node. 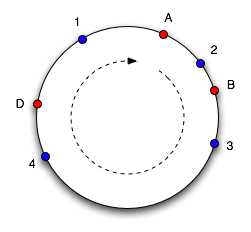 A query to the target cache node then returns endpoints for all the nodes in the cluster. AWS team has implemented this config command(which queries the target node) as an extension to the Memcached ASCII protocol. Since ElastiCache remains 100% Memcached-compatible, you can keep using your existing Memcached client libraries with new and existing clusters, but to take advantage of Auto Discovery you must use an Auto Discovery-capable client provided by AWS. How Auto Discovery (AD) works? Third,the Web/App AD client receives the current list of cache node hostnames and IP addresses. Auto Discovery library then connects asynchronously to all of the other nodes in the cache cluster. Auto Discovery uses a 1 minute Polling frequency by default. Usually Cache nodes will not be frequently(in minutes/hours) added or removed in production, this frequency is more than enough for most production cases. Also before reducing this polling frequency, it is recommended one should test and know how it impacts the Web/App process and compute cycles. Since there will be a gap of ~60 seconds between cache node removal and Auto Discovery polling detection, it is recommended to design Web/App clients with the exception handling and fall over capability to back end data store. It avoids manual intervention and downtime. When you scale up a cache cluster, the new nodes register themselves with the configuration endpoint and with all of the other nodes. 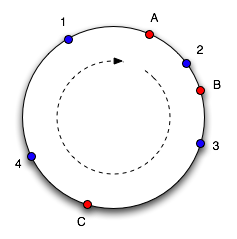 When you scale down the cache cluster, the departing nodes de-register themselves. In both cases, all of the other nodes in the cluster are updated with the latest cache node metadata. . Client programs poll the cluster at adjustable interval (default is per minute). If there are any changes to the cluster configuration, such as new or deleted nodes, the client receives an updated list of metadata and acts accordingly(connects or disconnects from them). To get started, download the Amazon ElastiCache Cluster Client by clicking the “Download ElastiCache Cluster Client” link on the Amazon ElastiCache console. Before you can download, you must have an Amazon ElastiCache account; if you do not already have one, you can sign up from the Amazon ElastiCache detail page. After you download the client, you can begin setting up and activating your Amazon ElastiCache cluster by visiting the Amazon ElastiCache console. More details can be found here. Amazon ElastiCache has variety of node types and often users end up choosing cheapest instance types and scaling out whenever the cache memory needs increase. But “Cheap may not always be the best.” Adding to this it may not be optimal for your requirements in terms of performance and cost and as a customer you may end up paying more because of bad choices. In this article I have taken a sample cache memory requirements and application characteristics, based on that i have explored the economics of choosing a cache node type in Amazon ElastiCache which makes sense. Network IO: These node types come with High Network IO capacity. They can be used for Cache dependent sites which has heavy cache utilization in terms of requests and data transfer. Compute utilization: Amazon ElastiCache internally uses memcached engine. Memcached is written using libevent model. This model allows the memcached to scale better with multiple cores, which effectively means better throughput. For applications which needs better concurrency and request throughput it is recommended to plan capacity with multiple cores for cache node types. The cache nodes under “category-1” have 4-8 cores which are ideally suitable for application which utilizes cache heavily. Network IO: Same as Category 1: High IO but depends/regulated upon node types (size). Compute utilization: Suitable for moderate workloads. Since cache node types in this category have only 2 cores, they are not suitable of heavy concurrent and compute driven cache access workloads. Elasticity: All points discussed on category 1 apply here. The below point emphasizes how important it is choose the right cache node type for cache memory size. Planning the right cache node type according to your current and future requirements helps you save costs. Also I recommend you to consolidate your cache node type periodically till you reach a size of few 100 GB’s to save costs. Post 500 GB, building your cache clusters with High memory Cache node types are usually cost effective. Example: We can see for 100 GB cache, 2 X Cache.m2.4xlarge are sufficient. But choosing this node type for this cache memory size will not be ideal because of the distribution and churn problems (in case if you are going to expand the memory size frequently). On the other hand if the cache memory size will be increased to or it is 1 TB then building the cache cluster using 15 X Cache.m2.4xlarge makes lots of sense in terms proportion and cost. Amazon ElastiCache internally uses Memcached 1.4.5 engine. We are going to explore the memory allocation and eviction policies of Amazon ElastiCache through our understanding of memcached internals in this section. If you are a complex and extensive user of Amazon ElastiCache it is better to have detailed understanding of how the internals work, to avoid leakages and maintain overall optimum performance. How is it organized internally? Amazon ElastiCache node usually breaks the allocated memory into smaller parts called pages. Each page is usually 1 megabyte in size. Each page is then assigned to a slab class when necessary. Each slab class is in turn divided into chunks of a specific size. The chunks in each slab have the same size. From the output of the above command you can observe that there is page with 80 byte chunks (slab class 1), a page with 104 byte chunks (slab class 2). In slab class 1, each chunk is 80 bytes and each page can then contain 13,107 chunks (1 MB / 80 bytes). This continues all the way up the slab chain till 1 megabyte (with growth factor of ~1.25). Note: There can be multiple pages assigned for each slab-class, but as soon as a page is assigned to a slab-class, it is permanent. When you are storing items in Amazon ElastiCache, they are pushed into the slab class of the nearest fit. If your key + miscellaneous data + value is 70 bytes total, it will go into slab class 1, with an overhead loss of 10 bytes per item. If your data is 90 bytes total, it will go into Slab class 2, with an overhead of 14 bytes. 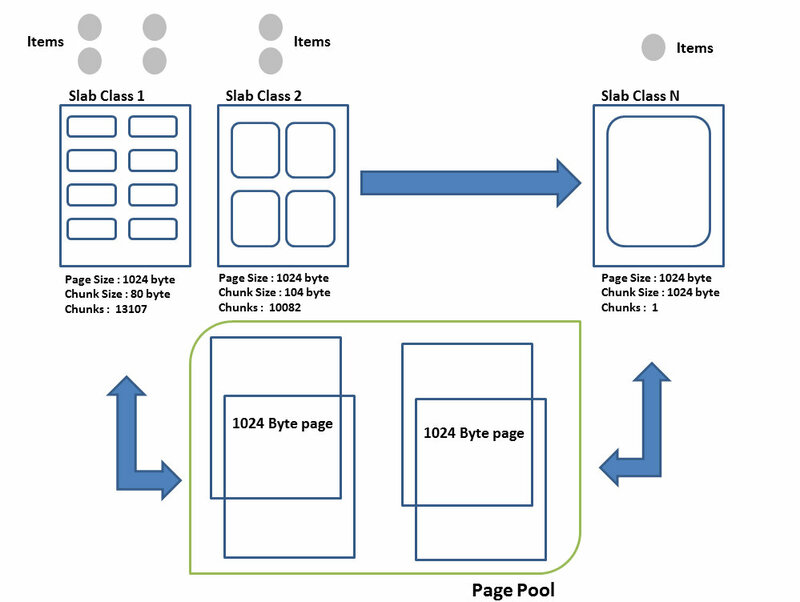 If your cache access pattern ends up putting 90% of your pages in slab class 2, there will be less memory available for slab class 3. This simple model is followed by memcached engine to avoid memory defragmentation and get better speed in performance versus memory usage tradeoff. When a page is full (meaning all chunks in the page are filled) and we still need to add another item, engine will fetch a new free page from the pool, assign it to the specified slab-class (depending upon item size), partitions it into chunks and gets the first available chunk to store the new item.Note: These 1024 byte pages are assigned on a FCFS basis (first come-first served), to the slab classes. When there are no more pages left to assign to slab class, it will use LRU algorithm to evict items to reclaim memory. In the following section you can see in detail about the eviction mechanism of Amazon ElastiCache works. Memory for an item is not actively reclaimed in Amazon ElastiCache. The memcached engine does not have in-built background threads that explicitly expires item and reclaims chunks. For instance, if you store an item and it expires, it still sits in the LRU cache at its position, until it falls to the end of the cache and is reused. However, if you fetch an expired item, memcached will find that the item is expired and free its memory for reuse. To explain eviction mechanism in detail; Items are evicted from Amazon ElastiCache if they are expired or the slab class is completely out of free chunks and there are no free pages to assign to a slab class.In case there are no free chunks, or no free pages in the appropriate slab class, Amazon ElastiCache will look at the LRU in tail to reclaim an item. Basically, it will search the last few items in the “end” and identifies the ones that are already expired, makes it free for reuse. If it cannot find an expired item on the end, it will "evict" one which has not yet expired. Actually you could end up with one slab class constantly evicting recently used items, on the other hand another slab having a bunch of old items that just sit around. For example: When we need a 104 byte chunk, it will evict a 104 byte chunk, even though there might be a 280 byte chunk that is even older. This explains the internal workings that “Each slab-class has its own LRU and statistical counter updates, it behaves like a separate cache itself, it is not global LRU, but slab class LRU in short”. Amazon ElastiCache has parameters like slab_automove(0-2) and slab_reassign(0,1) configurable. Note from memcached release notes: slabs automove 2 enables an ultra aggressive page reassignment algorithm. On every eviction, it will try to move a slab page into that class. You should never run this in production unless you have a very, very good idea of what's going to happen. For most people who have spurious evictions everywhere, you'll end up mass evicting random data and hurting your hit rate. It can be useful to momentarily enable for emergency situations, or if you have a data access pattern where evictions should never happen. How to reduce memory overheads? Since memcached engine of Amazon ElastiCache does defrag, you need to plan for better compaction and avoid overheads to keep the chunk sizes closer to your item sizes. This is not a one-time activity, but a periodical activity aligned to your cache growth. You can also set the factor using (-f) and the initial chunk-size (-s) options if its memcached on EC2. ·If item sizes are big and predictable it is recommended to have bigger chunks and growth factors, if the item sizes are varied it is better to have smaller initial size and growth factor. This will keep the wastage minimal.